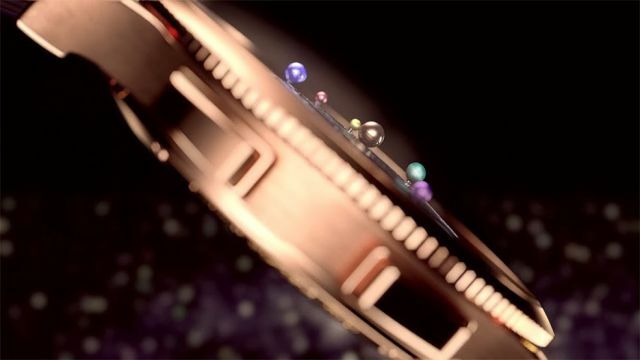 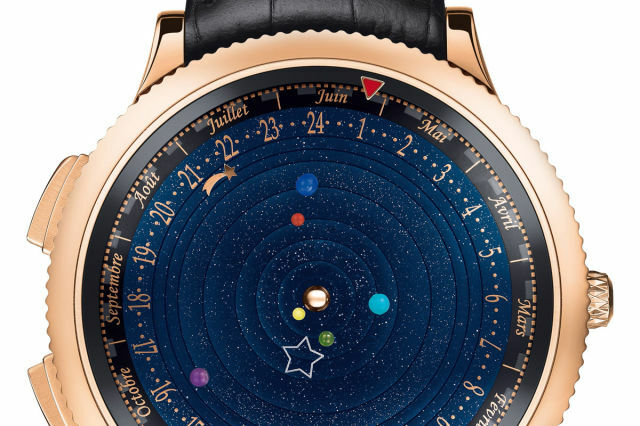 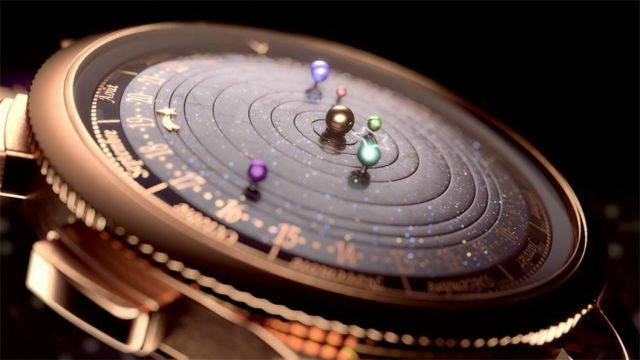 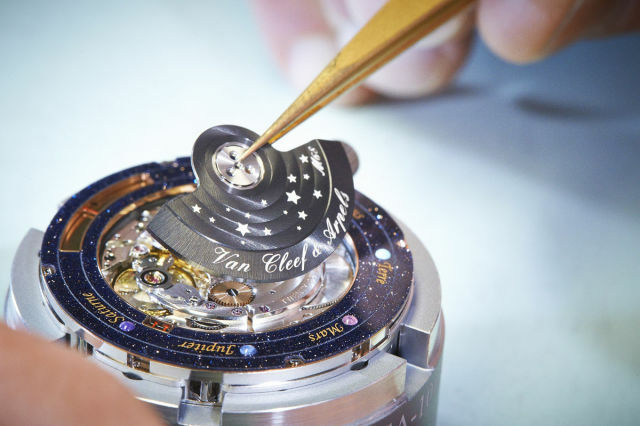 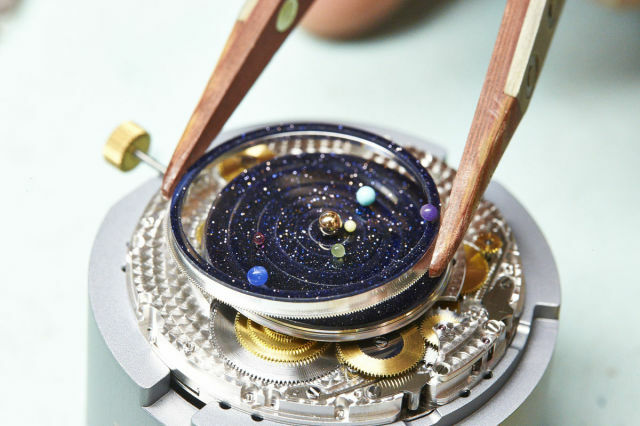 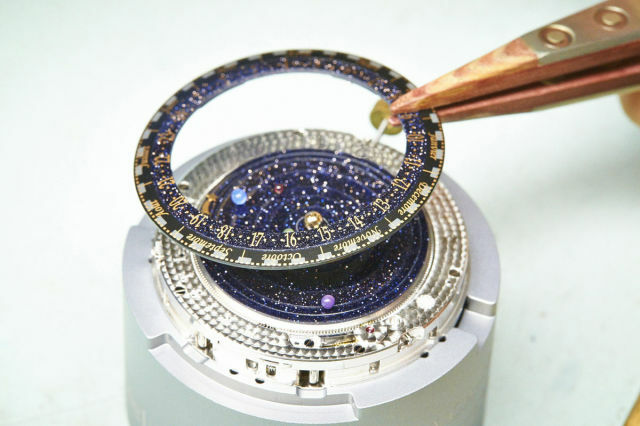 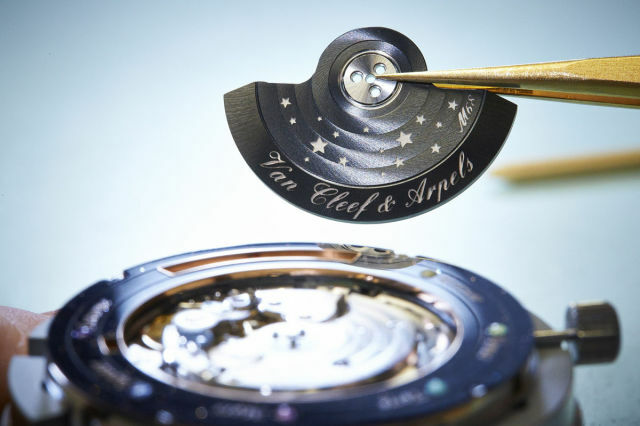 Van Cleef & Arpels have designed this amazing watch that shows the planets and the sun while a small comet moves along a track to tell the time. 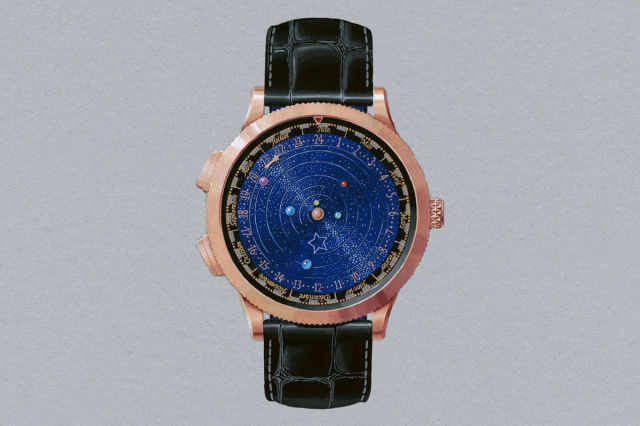 The piece is a part of a limited edition collection consisting of 396 items and sells for $245,000 in 18k rose gold or $330,000 in 18k rose gold with diamond decoration. 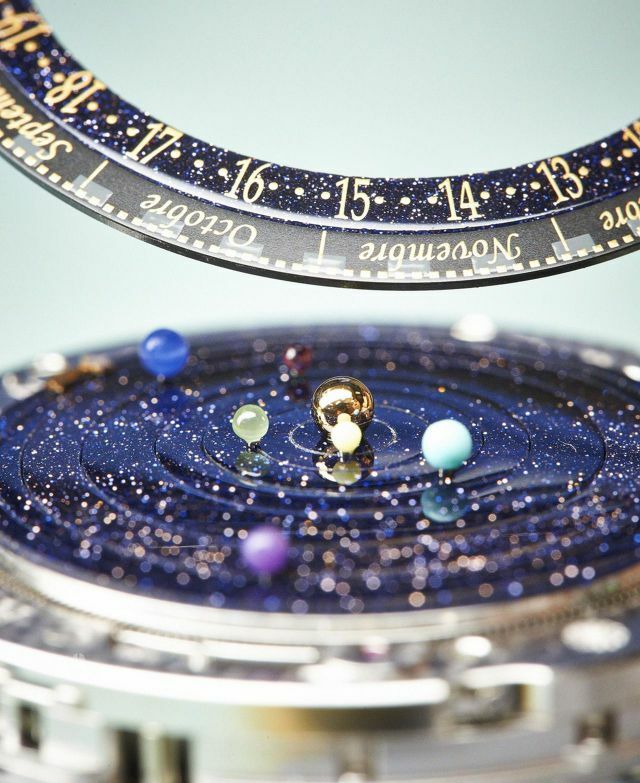 nice idea... a bit out of my price range.